An 11- year old boy from the Sultanate of Oman was recently treated at Sparsh Hospital , Narayana Health City, Bangalore. The patient had presented with an eight month history of pain followed by swelling in the upper part of his right thigh. The swelling gradually increased in size, affecting his walking. 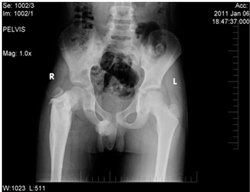 Initial investigations conducted by Medical Oncologists in Oman revealed a diagnosis of Ewing’s Sarcoma (Bone Cancer) of the right femur (thigh bone). He was treated with chemotherapy and later referred to the Bone and Soft Tissue Tumor Services at Sparsh Hospital and Mazumdar-Shaw Cancer Centre for Limb Preservation Surgery. Dr. Prabhudev K B, Consultant Orthopaedic Oncosurgeon at Sparsh Hospital, Bangalore conducted an extensive surgery involving complete removal of the tumour with reconstruction of the upper part of the thigh bone using an endoprosthetic replacement. The child made a good recovery and at the time of discharge was mobilizing comfortably with walking aids. 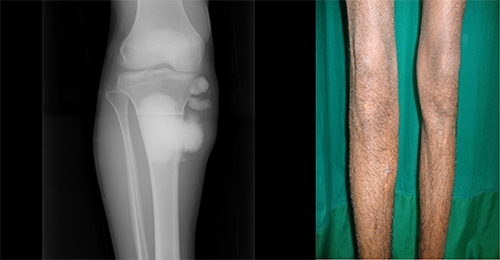 A 23 year old man presented to a local hospital with swelling around the right knee joint. 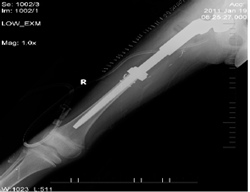 He underwent removal of the swelling followed by cementing of the bone defect. However, there was a recurrence of the swelling 3 months post surgery. Following initial examination and investigation at Sparsh Hospital, he was diagnosed with Parosteal Osteosarcoma in the right tibia. He was staged with MRI and PET Scan, which indicated that it was a localised tumour. The challenge was to save the knee joint and reconstruct the huge bone and soft-tissue defect. 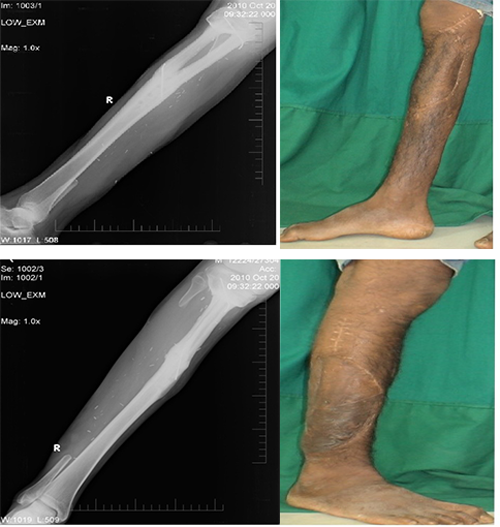 Along with the Micro-vascular Surgeons, the patient underwent a Wide Excision of the Tumour and Reconstruction with Vascularised Fibula Graft. The post-operative period was uneventful. At a recent follow-up, two years post-surgery, the patient is free of the disease and has returned to pre-disease status.